You are here: Home » News » Product News » How long do aluminum garage doors last? 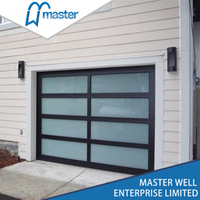 What does anodized glass garage door look like? 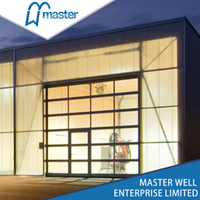 What are the advantages and disadvantages of the material of aluminium alloy glass garage door? Aluminum alloy glass garage door PC board with better results? 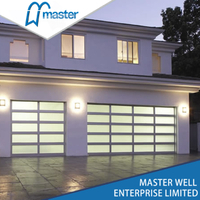 What is the widest residential garage door? Which is a better steel or fiberglass garage door? Why choose aluminum alloy to do garage door? How long do aluminum garage doors last? 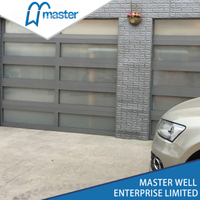 The service life of aluminum alloy glass garage door generally includes two parts, one is the motor part, one is the door plate part.The aluminum alloy garage door that the Master produces is to use the aluminum alloy material above the door plank material, more solid and durable, also is to maintain the good rustproof effect above the material performance.In motor parts, Master with the well-known domestic suppliers, the operating temperature of the motor can be in 25 ℃ to 65 ℃, the service life of up to 500000 times. Aluminium alloy glass door is in aluminium alloy the foundation of frame structure is united in wedlock with glass photograph, glass can do lens face face toughened glass and aluminium model board reach toughened glass.Tempered glass in the above safety performance needless to say, is in the above damaged explosion protection, there are good safety measures.Aluminium model board is plastic, also can have very good safeguard on wear-resisting and safety. 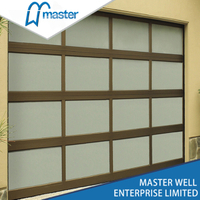 Master’s aluminum doors are available in color: anodized aluminum, painted white, bronze, brown, black, etc.Depending on the model, you can also choose to fill the foam to achieve insulation effect, or combined with the foam door. You can extend the natural lifetime of your garage door and the related components by adhering to a simple annual preventive maintenance program. 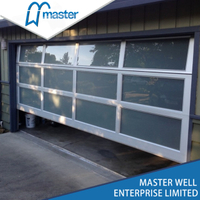 A garage door that is well-maintained will last longer and require fewer costly repairs. 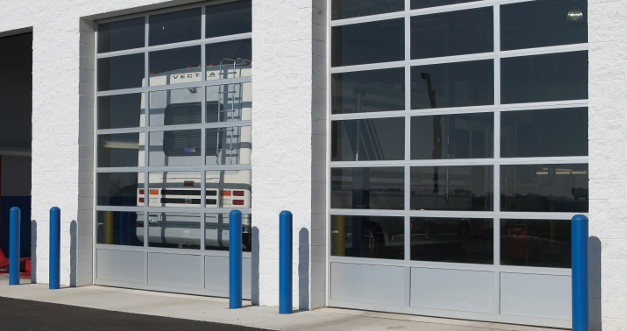 Most garage door installers provide regular maintenance services for customers that are uncomfortable or unfamiliar with garage door operation. Maximizing garage door longevity includes regularly cleaning and lubricating critical parts. The door itself should be cleaned at least semi-annually with a mixture of mild detergent and water. Garage door sensors play a critical role in safety and proper operation. They keep the door from opening if there is an obstruction in the pathway. Keep the area around the sensor free of cobwebs, and the sensor eye should be cleaned regularly with a dry cloth. About every 3–6 months, it is important to apply a light coat of lubricant to door springs, hinges and rollers. A common penetrating oil or spray graphite compound will work well, but heavy oils tend to accumulate more dirt and grime. As long as you do the above points, I believe that your garage door can give you a good use experience, but also let you experience the following features. The energy-saving polyurethane is high quality heat insulator,non-absorbing and wear-resistant material with R-value 13.73. Safety is important to today’s homeowner. As your door closes, the exclusive finger protection system gently pushes fingers away from section joints. Triple-layer door includes the ultimate in thermal properties, plus a layer of steel for a finished interior look and adds durability. Due to heavy-duty exterior and interior steel, polymeric coating keeps the door nice appearance, low maintenance ,durable and reliable. The sealing system between door panels and around the door leaf increases the air tightness, prevents heat loss and blocks airflow between sections. The thermal-insulation has sound-proof property. They prevent noise penetrating from the surroundings effectively.